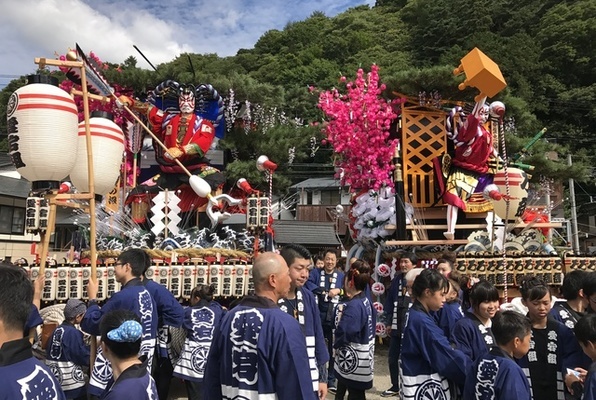 Trips to Tohoku may be often associated with tours that introduce disaster-stricken coastal areas for the purpose of learning about disaster prevention. On the other hand, it is so true that fun and lively ordinary life of Tohoku has continued to exist since before 3.11.
ensorq and Iwate Galaxy Railway Co. Ltd (IGR) have co-developed school trip programs that incorporate Tohoku’s unique activities into hands-on learning and experience-based workshops. We offer such programs to private corporations, educational institutions and other organizations. Please take a look at the report below and get an overview of “Aoba Japan International School Winter Camp 2017”, which was held in January 2017, as an example of such programs arranged by ensorq and IGR. Aoba Japan International School (Nerima-ku, Tokyo), founded in 1976, is one of the most well-established international schools in Japan. Their seasonal camps (summer camp, winter camp, etc.) combine English curriculum with cultural, historical, athletic and outdoor activities and are not only popular among their current students, but also attract students from outside the school, even from overseas. The “Winter Camp 2017” held in January (2017.1.2-7) had participants from various countries such as Russia and Taiwan as well as Japanese students. Students spent the first 3 days at the campus in Tokyo and went to Iwate prefecture for the latter half. As we had heard about lack of snow because of relatively mild winter, everyone was caught off guard by the freezing temperature of -6℃ as we got off the shinkansen. Morioka station was filled with echoes of children screaming, “ So freezing!” That’s how the second half of the Winter Camp 2017 started and the first destination in Iwate was Azumaya, a well-known wanko soba restaurant. It was the first wanko soba experience for most of the students and teachers. All enjoyed eating a bowl after another rhythmically as the servers called out, “Don don” or “Jan jan”, meaning to encourage the customers to eat more and more. Guess who ate the most?... An elementary school girl – eating up over 90 servings! With their stomachs full and content, now they were headed to Appi Kogen Resort, located in Hachimantai city in Iwate prefecture, a well-known region for heavy snowfall. Appi Kogen is popular as a ski resort with good powder snow. Excited at the sight of the vast area covered with shiny snow, the children jumped on sleighs or started to build snow huts. Tired after playing in snow until dusk, they were welcomed at the hotel lobby by local high school girls dressed in kimono. They came all the way from Morioka, the capital city of Iwate prefecture, to show the traditional local dance called “Sansa”. At first, most children were shy and just watching, but after gradual ice-breaking, they became involved and mixed up with the locals in a circle of dance lesson. Some tried playing the drums or flutes and others enjoyed dancing. Each of them had fun trying out the local traditional culture with local students. On the third day, they enjoyed experiencing soba and mochi making with senior citizens of Hachimantai city. It was the first experience for most of the students to make traditional Japanese New Year dishes. After carefully watching how the grandpas and grandmas were making them, the children tried imitating their handling of the food. “It’s the best soba I’ve ever eaten!” “It’s my first time to eat mochi with walnuts.”etc. They loved the food they made and took them seconds to eat up all of the food prepared. The three-day Winter Camp in Iwate ended giving the visitors deep impression of the local culture such as sports and fun activities in the snowy region and the traditional dance and food. The local people in Iwate were also delighted telling us they appreciated the opportunity to introduce the fun daily life of Tohoku to the students. 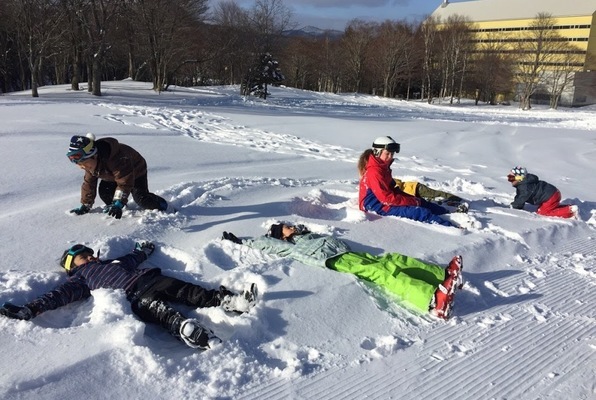 As the Winter Camp was such a big success, Aoba Japan International School Winter Camp 2019 is planned to be held in Iwate again. Please visit the school website for details. We, ensorq, provide customized hands-on experience programs for corporations, educational institutions and other organizations. We can arrange tours/programs in Tohoku and other areas. Please feel free to contact us by email. Copyright © ensorq All Right Reserved.